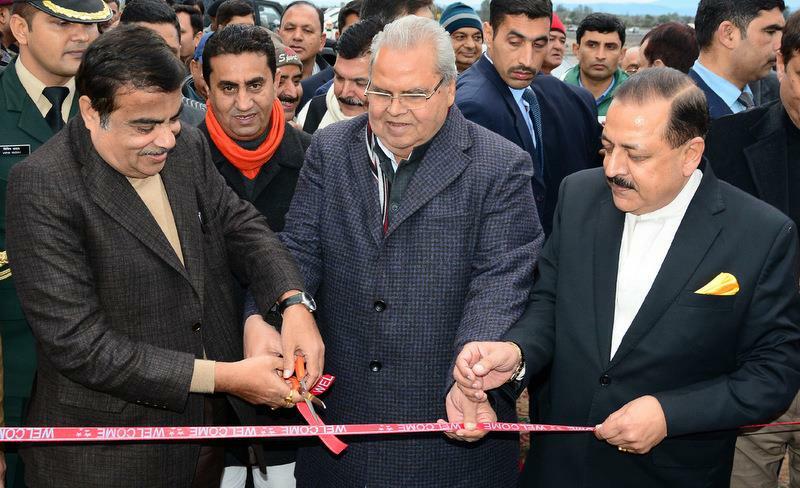 NEW DELHI: Union minister Nitin Gadkari on Tuesday inaugurated a bridge over the Ravi river in Jammu & Kashmir which will reduce the distance between Kathua in Jammu and Pathankot in Punjab to 8.6 km from 45 km, the government said. The bridge over the Ravi river at Keerian - Gandial will benefit over 2.2 lakh people living on the two sides. It has been constructed at a cost of Rs 158.84 crore to improve inter-state connectivity, the Road Transport and Highways said in a statement. While dedicating the bridge to the Nation, Gadkari said that Prime Minister Narendra Modi-led government had set a new mark in timely delivery of public goods by completing various projects on or before time. The road transport and highways minister said that the government was focussed on providing corruption-free and transparent governance to the people without compromising quality. Giving details about the ongoing highways projects in Jammu & Kashmir, Gadkari said that the NH network in the state has seen an increase of 969 km in the last four years. The total length of NHs in the state was 1695 km in 2014, which has gone up to 2664 km in 2018. The number of NHs has also gone up from seven to 14 in the same period. New NHs of 969 km were announced during the period. In addition, four state roads of 400 km have also been approved. He said his ministry is executing 16 projects worth Rs 45,107 crore through NHAI, NHIDCL, State PWD and BRO under the Prime Minister's special development package (PMDP) for J&K. Of these, works worth Rs 30,000 crore have already started, the statement said adding, NHAI is executing eight projects worth Rs 14,987 crore, NHIDCL/BRO - six projects costing Rs 24,120 crore, and PWD - two projects for Rs 6,000 crore.